Conveniently located next to the terminal at KWDR, on the west side of the airport, abAviation provides a full range of aircraft services - Maintenance, Repair, and Avionics - for all makes and models of general aviation aircraft. 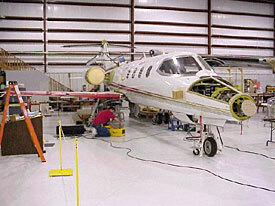 abAviation holds the distinction as a Cessna Authorized Service Facility and a Beechcraft Authorized Facility. Since opening in 2004, our reputation of delivering superior quality, cost-effective service with total integrity has been the cornerstone of our success. Dedicated to providing unparalleled service, our number one goal is to ensure customer safety and satisfaction. Developing and maintaining a customer relationship of confidence and trust are vital components in our business. Our technicians are trained, licensed professionals, experienced and knowledgeable in all aspects of the aviation industry. Skilled on aircraft ranging from business jets to small piston models, our maintenance technicians are among the best and hold A&P/IA certificates and pilot ratings. In addition to aircraft maintenance, repair, and avionics, abAviation has a wide range of OEM and aftermarket parts which can be ordered on our website. We would be privileged to serve all your aviation needs. Contact us at office1@abaviation.net or 770-867-0002 or 770-534-2729 or visit our website www.abAviation.net. Aircrane, Inc. is the largest heavy lift operator on the East Coast. They have been based at WDR since 1993. Specializing in external loads, Aircrane operates one S-58 and two S-58T helicopters. Their primary focus of work is in construction, however they assist nationwide with fire suppression. You may contact Aircrane at 770-466-2129 or visit their website at www.aircrane.com. We started Dragonfly Aviation with one thing in mind… make flight training more affordable while maintaining a high level of safety. In recent years, prices in the aviation industry have skyrocketed! (Sorry about the pun). This is due to a number of factors; the big ones are insurance, fuel, maintenance costs, and the rise of technically advanced avionics (Glass Cockpit). Now, insurance we really can’t do anything about. As far as fuel goes, we chose the Diamond Eclipse for its fuel efficiency. Less gas burned per hour means the less we have to charge per hour for it. The Diamond Eclipse and Diamond Star are also very easy aircraft to maintain, equating to lower cost per hour. Technically advanced avionics are a whole other ball game. They are very expensive to acquire, very distracting to the primary student, and expensive to repair when things go wrong. For that reason both aircraft we chose have standard, tried and true, instruments. (Our instructors, however, are well versed in the operation of, and are able to train in, Technically Advanced Aircraft should you have your own.) 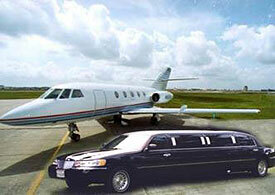 Our price for aircraft rental is what we quote. You will not be hit with a fuel surcharge fee at the end of your rental like some flight schools do, making it appear that their prices are more competitive than they really are. If fuel prices increase, then we will raise our price as needed. All this adds up to savings for the student and aircraft renter. We offer short Introductory Flight Lessons in both our Diamond Eclipse ($59 + tax) and our Diamond Star ($99 + tax) that are a perfect way to come see our operation and confirm that we are your flight school of choice! If you'd like more information on Flight Training or Aircraft Rental with Dragonfly Aviation, please give us a call at 678-506-1222, email us at info@dragonflyav.com, follow us on Facebook at www.facebook.com/DragonflyAv, or visit us on the web at www.DragonflyAv.com. We look forward to speaking with you. Georgia Avionics, a subsidiary of abAviation, is located next to the terminal at KWDR on the west side of the airport. An FAA Certificated Repair Station (GX4R222M), Georgia Avionics is a leading provider of avionics installation, repair, and sales. In business for more than 40 years, we are committed to providing only the highest level of service to our customers. Our avionics technicians are among the best in the industry. Extremely knowledgeable in this changing market, our technicians are highly skilled, well trained, and also hold A&P / IA certificates and commercial pilot ratings. Committed to quality, our promise is to ensure your aircraft leaves our facility in ready-to-fly condition. We proudly partner with all the major manufacturers of avionics equipment including Aspen, Avidyne, Garmin, L3, Genesys (formerly S-Tec), ForeFlight, Appareo, and many others. Romanair Heliworx, Inc. was started in 2017 as an addition to the success of Romanair WDR, Inc. to focus on rotorcraft maintenance. Romanair Heliworx, Inc. is a Factory Authorized Robinson R44 Service Center. We offer maintenance services on all Robinson Helicopters as well as Hughes 500's and Bell 206's. We also provide professional pilot services, photo flights and aerial tours. Call us, email us, or do it the old fashion way and come see us today to discuss how we can support your mission! Romanair WDR, Inc is the longest established business at the Barrow County Airport. We have been proudly serving your aircraft needs at KWDR since 1985. We offer maintenance on most piston aircraft to light and medium turbo props. Our team is dedicated to providing our customers with the highest service possible. Offering Phillips 66 fuel, our Avgas and Jet-A are of the highest quality. Daily quality control checks on our fuel and pumping systems assure you are receiving clean fuel from properly functioning equipment. Our self-service Avgas is available 24/7 and accepts all major credit cards. With accommodations for aircraft from an Aeronca Champ to a Global Express, we will be sure your stay at the Barrow County Airport is affordable and enjoyable. If you would like more information, email us at flywdr@romanair.com, call us at 770-867-4001, or visit us on the web at www.romanair.com. We look forward for the opportunity to serve you!